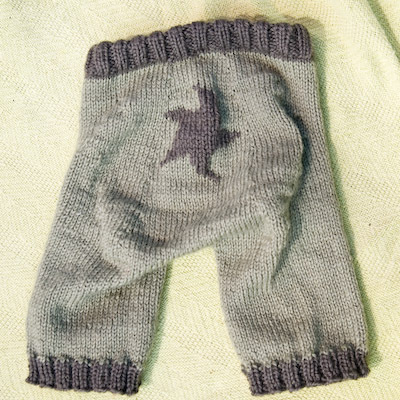 Little Poe is just the cutest little boy ever and I KNEW these longies were perfect for him so of course I immediately offered to finish them for him. And I tell you, I instantly felt such a weight lifted off my chest that I actually had a valid reason to finish this project. Without someone to wear them I just did not have time to spare to knit them, and it was the right decision at the time to stop, but I so hate leaving things unfinished. It was still slow going, but with an actual reason to finish and a birthday looming I found the motivation and they are done. And they are unspeakably cute on, if I do say so myself. 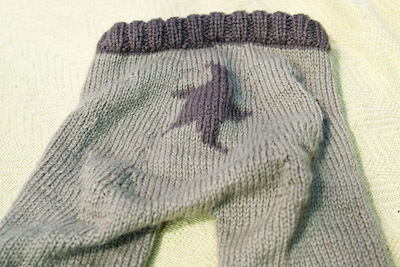 So cute in fact that I may have to make another pair (that fits) for Grace. I took these photos a few weeks ago now and it pains me to say the longies look almost identical now, so there is no point in taking new photos - other than to indulge Grace’s cutenss. It’s a sad day. I think this is only my second ever UFO. Actually it’s probably the third, there is a pair of unfinished jaywalkers somewhere around here, and a scarf that I so barely started I often forget it happened at all… There haven’t been many and the other two might actually still be worth knitting if I ever feel the love for them again… I think this is the first time I will put something away with no intention of ever coming back to it. And that is so out of keeping with my personality that I am finding it hard to deal with - no matter how much I know it’s what I need to do. The saddest part of all is there may be no knitting at all for some time. It could easily be another year. Another year. I can’t believe it’s been a year. And it could be another year. I do still love to knit and I miss the knitting but there simply isn’t knitting time in my life right now and I don’t seem to be able to make it. (Note that this also means there is little to no TV time in my life right now). What I am determined to make time for is quilting. As part of our great house re-org we moved the girls in together. So it’s time for matching, or at least coordinating, quilts. I want to make them for Christmas, but I know it simply won’t happen, so the more realistic goal is their birthdays - Isabelle in March and Grace in July. But before I can start quilting I have a whole bunch of stuff to cross off my ever growing to do list. And I have some grieving to do. For the knitting that I will miss. And this blog, which has quietly slipped away from me. I feel like such a bad blogger… And a bad friend to those of you who I got to know and then just disappeared from. I hope you all know it wasn’t intentional and it makes me sad. If it is going to be a few days before you get back to it take VERY good notes. When it’s going to be weeks, and you will be sick, sleep deprived and hormone ridden in between - write an essay. Of course I didn’t take a single note. I did place a bit of scrap yarn as a marker to measure from. If only I had thought to write down what exactly I needed to measure it might have been a little more meaningful. Given my complete failure to document lessons learned before I ripped, most of my infrequent knitting time has been spent trying to figure out what on earth to do next. But I am finally almost back to where I was before I ripped. I would take a photo, but it looks just like it did last time. Other than the short rows, which might be worse. 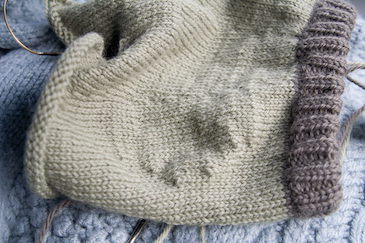 And who wants to document their knitting getting worse? 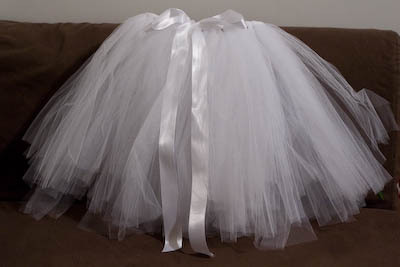 Now I just have to catch Grace and do a try on. That I will take pictures of. So I have been knitting. Just not often, or for very long. 5 minutes here, 2 minutes there. And those moments are great while they last, but they have all been while Grace napped in the car. And she just dropped that nap. So I think I am going to have to start knitting while I watch the news (or something), otherwise these longies will never see the light of day. Certainly they have provided a nice round bottom, but god it’s lumpy. As I sat in the car, having spent quite some time reading the various bits of web forum I had printed out as “the pattern”, I wondered. Would I remember how to cast on? Would I be able to knit at all? The answer was YES. I can still cast on. I can still knit. And WOW was it fun! I have seriously missed that feeling. 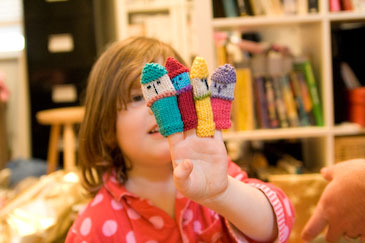 Yarn slipping through my fingers. Something from nothing…. These are to be longies for Grace, to go over her cloth nappies. The pattern is here. I had, of course, started making my own modifications before I was even 10 rows in. I have thought about shutting this blog down. I don’t know if it will ever be as active as it once was. But I really do want to knit (and quilt) at least a bit, I have projects I am quite desparate to find time for - not that I am having much luck finding that time. 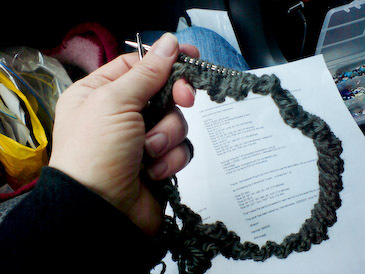 And my reason for blogging remains, to document my knitting at least for my own future reference. The number of times this blog has helped me answer my own questions about how I did something has been invaluable. So here I am pulling the blog back from the brink of oblivion. I will knit a bit. I hope to blog a bit. But Grandma Mary has been busy. 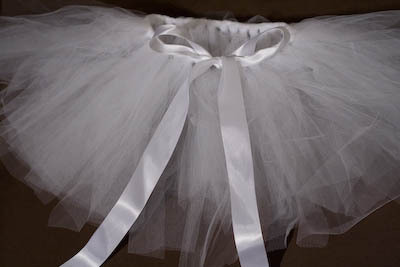 Tutus. 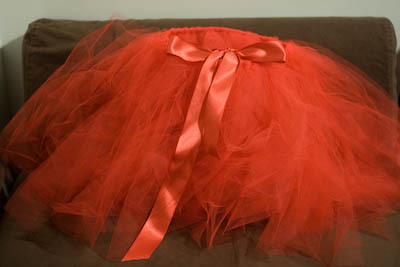 Lots and lots of Tutus. These are just the ones I remembered to photograph before I gave them away. And there are more to come! I can’t even remember if this was last week or the week before, I think it was the week before. 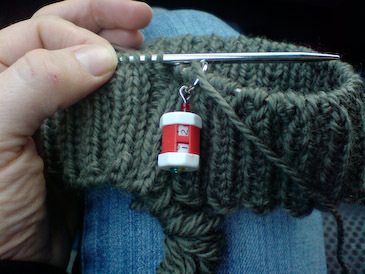 A few moments knitting time between christmas craft shopping and the school run. The sock is growing, but VERY slowly. I am enjoying it a lot more than I was at the time I abandoned it last year, though that may be stating the obvious. This time last year I was baking and knitting christmas gifts. 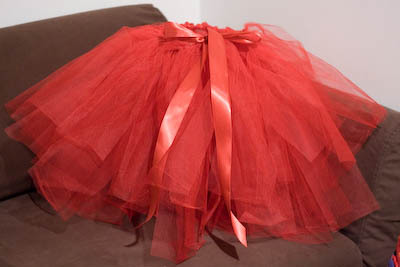 I am probably goign to get some baking in this year but the only hand crafted gifts will be tutus for all the little girls we know. 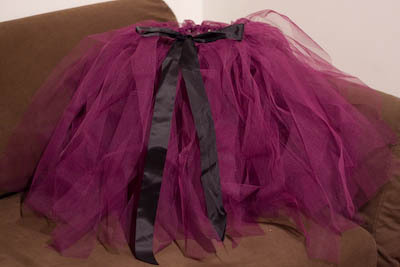 I have miles and miles of tulle and a very simple pattern. If I can find myself 5 minutes when Grace is asleep and Isabelle is not at home I might even most so photos - though I dare say they would look better modelled by a little person than a trampoline. So I keep holding off blogging until I have time to take a photo - or better yet until I have something worth photographing. But um, I might never blog about craft again. Right now my left foot is one kind of fantasy land and the right foot in another. A year ago Grace was just a dream and not even in my wildest dreams were things as perfect as they now are. A year ago I was actually knitting like mad instead of merely fantasising about projects. And obviously I wouldn’t go back to that place for anything. But it would be nice if one day these two fantasy lands some how came together. 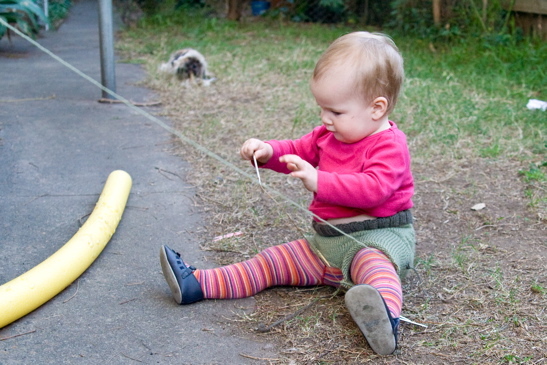 Imagine - a baby AND some craft. That’s just greedy. But it has to come together eventually, right? The question is where to start. All the things I want to knit, or matching quilts for when the girls eventually move into the same room? 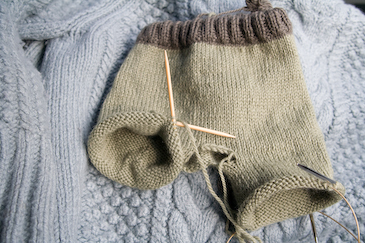 In the mean time I am slowly working on a sock, at a rate of about an inch a month. 4 inches of sock progress just doesn’t seem worth a photo. Someone’s been knitting. But it wasn’t me. 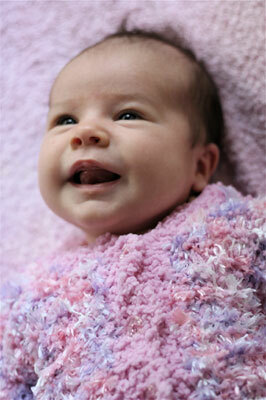 When mum came back from Adelaide last weekend she brought this gorgeous little cardigan from Grandma Mary. As she pulled it out of the bag she mentioned that Mary had handed it over with much dark muttering about “yarn” and I had to smile. 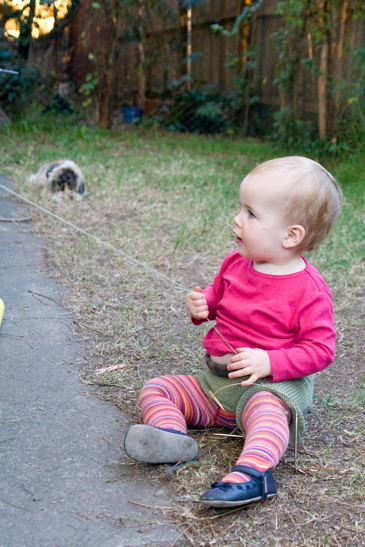 The mother in me finds this cardigan unspeakably cute on my little baby girl. The knitter in me understands exactly how much love is involved in a knitter like my Grandmother bringing herself to knit with novelty yarn. My Grandmother was the first knitter I knew and is the best knitter I am ever likely to know in person. When we were both younger she used to turn out astonishing colour work sweaters, both fair isle and intarsia, though mostly fair isle, at an alarming rate (think Wendy). She knits less these days but never the less recently completed a Kaffe Fassett intarsia sweater in a pattern that scared the living daylights out of me (you have HOW many colours going at once?). Before I started knitting I suffered under the delusion that all knitting must be the same to the knitter, that “knitting is knitting”. 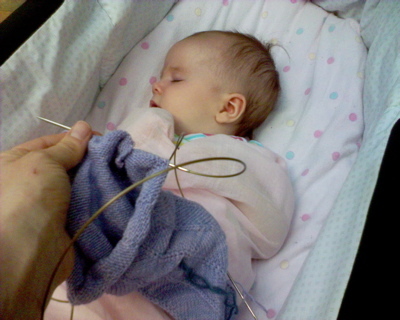 It never occurred to me that yarn/needles/pattern would make any real difference to the knitter. Once I started knitting myself I suddenly understood two things. 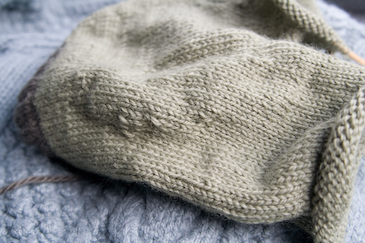 One, that yarn, needles and pattern can all make the difference between knitting being a joy or pure hell. Two, that knitting for others is a wonderful expression of your love for them - but you still want (need!!) to be able to enjoy the process. I love knitting for others, but generally speaking they get what I choose to make them. Another thing I realised only after starting to knit myself was that each knitter has their own unique style and knitting preferences. Some of us are all about socks, some are committed colour knitters, texture is probably my favourite thing (at least for now). My Gran is a colour knitter extraordinaire, with a life time of experience knitting with fine natural fibres, often wool that she had hand spun and dyed herself. I was always impressed by Grandma Mary’s knitting. But it wasn’t until I started knitting myself that I really understood just how skilled she was, or just how much pain some of our requests must have caused her. I can only imagine the knitterly frustration she must have experienced after being talked into knitting this novelty yarn by one of my aunts. All I can say is - thankyou (both)! My own yarn snobbery is enough that I would never have guessed how cute this cardi could be or how much I would love it. We adore the cardigan, all the more because we truly appreciate the labour of love involved in knitting with such a poor excuse for yarn. 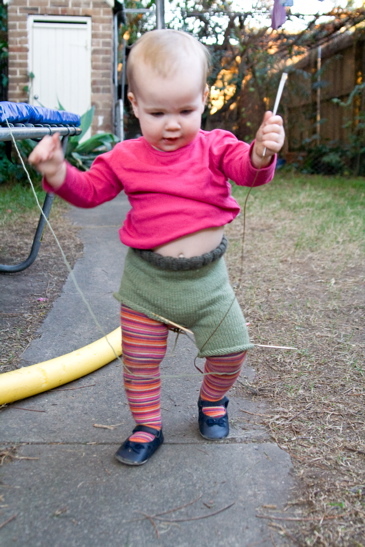 I am awfully glad I didn’t have to knit it myself in order to enjoy the end result!! P.S. To everyone who has sent me emails and left comments since Grace was born - I am so, so sorry that I haven’t replied. These days computer time happens while I breastfeed and my ability to type is suffering accordingly… Also my hard drive died and I am currently stealing moments on other people’s computers.